These are wellness beauty treatments, and not therapeutic massages. In no case are they medical or paramedical in nature. A medical opinion is required for anyone experiencing pain or symptoms which we would not be able to detect. Our therapists reserve the right to refuse an appointment if there is any doubt. Access to the pool and the hammam is privatised between 9 am and 6.30 pm and subject to conditions. 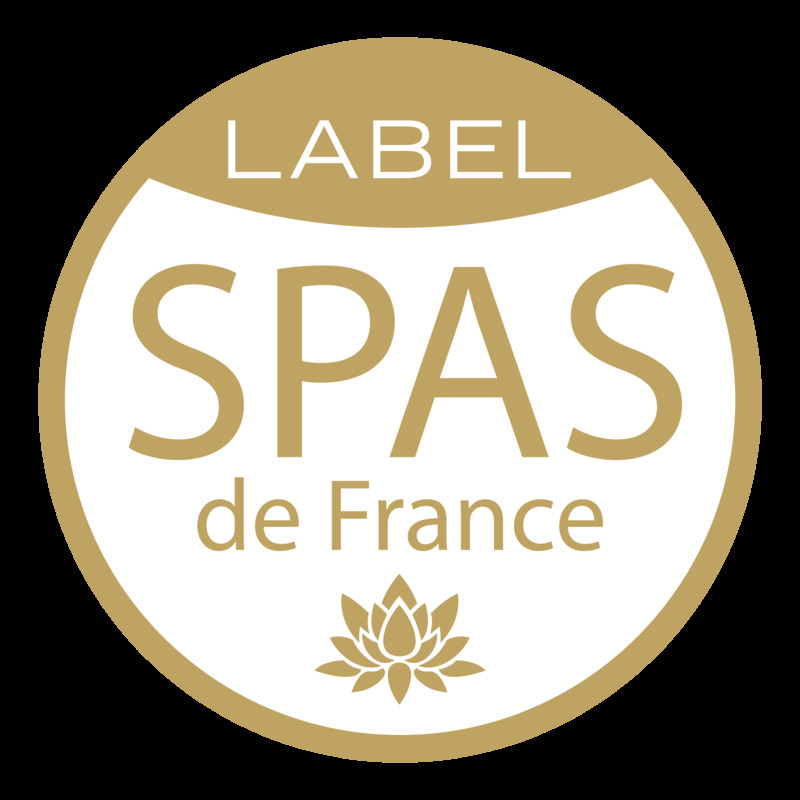 Only people who have booked a Sensation package (several hours in the spa) or a Sensational package (one day in the spa,) will be offered these facilities for a period of time which we will decide on. Anyone using the hammam must be aware of the risks involved. A release which absolves us from any liability for improper use of the hammam must be signed before authorisation is given for its use. When booking a single treatment, it is possible to obtain a booking for these areas, depending on availabilities, for a charge of €40/person entitling the client to 30 min in the pool and 30 min in the hammam, to which access has been privatised for the occasion. Basic rules of hygiene must be observed. A swimsuit and flip-flops or slip-on sandals for moving around, clean and exclusively intended for this use, must be worn. From 7 pm onwards, access to the pool is offered to our guests who are residents at the domaine. The loan of bathrobes and bath towels is included in our service. Non-return of these items will authorise us to make the following charges: cost of bathrobe = €45; cost of bath towel = €25. Replacement of bathrobe: €5 (included in Sensational packages). We offer the free use of swimsuits and flip-flops to people who have forgotten their own. The duration of treatments indicated below refers to the actual time and not the time spent in a cubicle. Please report to the spa’s reception area 15 minutes before the beginning of your appointment. If you are held up or delayed the booking will be invoiced and we will be forced to reduce the length of time initially planned by the length of the delay, or cancel it completely. (Please see cancellation section). Some treatment protocols require specific training. We are not able to provide all treatments every day, so an alternative is automatically offered depending on the therapists available on the day of your appointment. When booking, you will be asked to pay an amount of 50% of the service booked as a deposit. In the event of cancellation or alteration, the deposit paid will be retained. Any alteration occurring 7 days before the appointment at the latest: the deposit paid initially is used to guarantee the new booking. This new appointment is then non-modifiable and non-refundable, and a second deposit for the balance of the booking will be asked for as prepayment (invoice available on verbal request). Any alteration occurring between 6 days and at the latest 72 hours before the appointment: in this case, the booking is non-modifiable. The deposit will be retained. The balance of the amount will not be requested. This request for alteration of the appointment will be considered as a verbal cancellation, unless confirmation of the appointment is received in writing from the client at our postal or email address. A cancellation occurring between 6 days before and at the latest 72 hours before the appointment: the booking concerned is, in this case, non-modifiable, and the deposit will be retained. The balance of the amount will not be requested. A cancellation occurring less than 72 hours before the appointment: payment for the booking will be due in full, and the deposit will be retained. The balance of the total amount will be invoiced and debited if applicable. Clients who cancel at a late stage may be replaced by persons of their choice, subject to confirmation of the appointment in writing being sent by the client to our email address on the day of the cancellation itself and at least 12 hours before the appointment. No-show: in the event of clients not appearing for their appointment, the booking will be considered as a cancellation occurring less than 72 hours before the appointment. Event of force majeure: a cancellation without charge will be allowed in the event of a client being physically incapable of travelling to present themselves at the agreed appointment on time. A certificate for each person will be requested in the case of death, accident or an incident affecting their abilities to move around, or being banned on medical grounds from travelling. Only certificates of incapacity or death proving our client’s kinship with their own child, spouse or direct relative, or concerning the client themselves, will allow us to consider a cancellation without charge and a reimbursement of the deposit for this person alone, subject to the validity of the document proving the event of force majeure and explaining the absence from and cancellation of the appointment. In the case of a booking for several people, a certificate will be requested for each one in order to benefit from this cancellation without charge. Clients who are affected by an event of force majeure may be replaced by persons of their choice, subject to confirmation of the appointment in writing being sent to our email address by the client on the day of the cancellation itself and at least 12 hours before the appointment.